Taste it – ain’t that nice? Come round hungry, leave here full. Oops. Guess I accidentally left that out of their upbringing. I’m not going to lie. I was never a fan of soul food. I mean, some of it is okay. I actually love simple dishes like beans and rice, cornbread, and sweet potato pie. But there are a few soul food dishes that even I haven’t worked up the courage to try; like chitlins (aka: chitterlings), for example. I’m just kind of thinking that there are some parts of the pig that maybe are okay to go to waste, you know? So we went to work researching. We read about the history of soul food, which has its roots in the south, during the period of U.S. slavery. (“So soul food is poor peoples’ food?” asked my teen. “Well, technically it’s southern food,” I explained.). We called up a few relatives to get their input on the correct way to cook gumbo or collard greens, which apparently are supposed to be simmered with meat for several hours. I cheated and steamed ours in the microwave. For my kids, the results were mixed. Thumbs up: Cornbread, hush puppies, fried fish, biscuits and gravy. Thumbs down: collard greens, red beans and rice, hot links, and grits. “But the important thing is, did it feed your soul?” I asked, at the end of our culinary journey to the south. Meh. My kids were indifferent. Apparently, it is pizza that feeds their souls, and not beans and cornbread. Oh well. Maybe our next culinary journey will be to Italy. Okay, I’ll admit it. I cheat. I’m a big cheatery-cheater-head. I use a bread machine. I know — shocking. Right about now, all the purists out there are judging me, because surely homemade food should be prepared without relying on modern aids and shortcuts. Well, I don’t care. My trusty bread machine has been faithfully helping my dough to rise since 1997, and I am not ashamed. I adore baking bread. Hot, buttery rolls; flaky croissants, and crusty French baguettes. Challah bread beside a bowl of winter stew, and sweet, spicy Finnish Pulla bread with Christmas dinner every year. I can think of no baked item quite as special as fresh, home-baked bread. Now you can talk science all you want, but to me, there is something almost magical about the process, and the way a plain, gooey blob of dough undergoes a metamorphosis, growing, rising, and changing during each step. After I have punched, pushed, and twisted the dough into submission, it at last goes into the oven to bake. And then comes my favorite part — the aroma. That delicious, mouth-watering aroma of fresh bread baking. That amazing fragrance that fills the kitchen and wafts into every corner of your home, until at last, you are so overwhelmed with hunger, that you rush to pull those shining, golden-brown loaves from the oven. In your mad impatience, you tear into the hot crust to expose the soft, white interior. Although it is still steaming, you pop your first bite of fresh bread into your mouth. You burn your tongue of course. But it is worth it. It is always worth the burn to get that first taste of bread while it is still piping hot and perfect. Just as I am going to do right now. In a large mixing bowl, dissolve yeast in warm water. Add 4 of the eggs and beat well. Mix in oil, sugar, and salt. Beat in flour to make a firm dough. (You may not need at 6 cups). Turn out onto floured surface and knead until smooth and elastic (between 5-10 minutes should do it). Place dough in greased bowl and turn once. Cover and allow to rise in a warm place 1 hr. or until double in size. 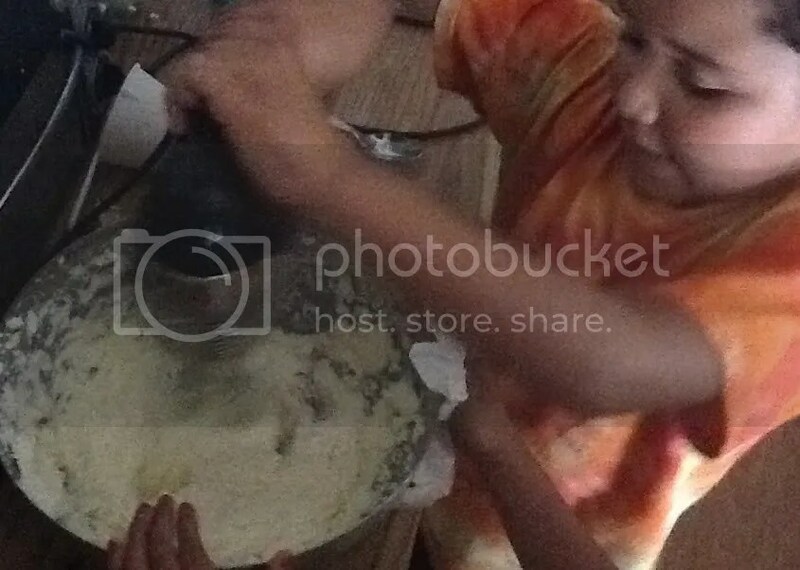 Punch down dough and turn onto floured surface. Divide into two portions (each will make a loaf). Divide each portion into three. Roll each section into a rope of around 15 in. Place the three ropes side by side and braid, then pinch the ends together to seal and tuck them under the loaf. Places braided loaves on greased baking sheets, cover, and let rise 1 hr. Beat together last egg with 1 Tbsp. cold water. Use pastry brush to paint loaves with egg mixture. Sprinkle on poppy seeds or sesame seeds, if desired. Bake at 350 for 30-35 minutes. Remove and cool before eating. (Or not). Don’t you just hate it when you are planning to make pad thai, but you’ve run out of rice noodles? Or when you are seriously craving a steaming bowl of chow fun, but you don’t like to pay high restaurant prices? For me, there is only one logical solution to problems like these. A trip to my friendly neighborhood Asian supermarket. Okay fine, these days, you can often find a lot of great ingredients for Asian cooking at your local chain supermarket. And really, there is no Asian supermarket in my neighborhood. But I am always happy to have an excuse to drive 30 minutes across the city to shop at one. Shopping at the Asian market is a very different experience from shopping in a typical American chain grocery store. Although you can find a number of familiar products, you can also find many foods which you’ve probably never seen or tasted. Just how does one eat Jack Fruit, anyway? Froggies? Is this a grocery store or aquarium? Foods are also packaged or presented differently. For example, the fresh fish looks like – well, like fish, instead of the pre-boned and filleted slabs we are accustomed to buying. And if you prefer your seafood very, very fresh, you may find tanks teeming with live fish and crustaceans – or even, if you’re feeling particularly adventurous, live frogs. Yum-yum. The prices at the Asian supermarket are generally quite reasonable, especially for seafood and produce. But it is easy to go overboard and spend more than you had intended. For example, just yesterday, my kids and I went shopping with a nice little list of foods, but also ended up buying several types of mochi, a ton of ramen noodles with cool flavors, shrimp chips, and chicharrones (wait…what?). And then, upon leaving the store, we could not help but stop at the café and load up on hot dim sum (which my 12 year-old ordered in the Mandarin language). Naturally, our menu for this week is filled with delicious Asian meals and snacks – thai curry, miso soup, stir-fries, spring rolls, and my personal favorite – pad thai with shrimp. Nope, no frogs for us. At least, not this time. I’m afraid that I may have spoiled my kids for life. No, not from being overindulgent. In fact, they are usually pretty grateful, compliant children. However, I am afraid that they will never be able to enjoy a bowl of soup from a can. Mushy noodles? Tasteless broth? Tinny aluminum flavor? Blech. I don’t blame them for turning up their noses. Unlike my kids, I grew up eating soups that came in familiar cans with red-and-white labels. You open a can, dump it in a pot with some water, and heat until warm. Really, the blandness of those soups never bothered me until I grew up and figured out how to cook homemade soups. And now I will never turn back, nor will I force my children to slurp down the canned imitation. Nothing beats homemade soup. The rich, fragrant broths, the smooth, creamy bisques, the mouth-watering aroma filling the house as the soup simmers on the stove – if you have not experienced it, then perhaps it is time to try. It really isn’t difficult. Most soups begin with a good stock. If you must, or if you are in a hurry, then using a canned stock is not the end of the world (unless you are making chicken soup). But it is very easy to make your own stock. Every time I cook a whole chicken for dinner, I immediately turn the leftover carcass into a delicious stock, which I freeze until I am ready to make soup. There are hundreds of basic chicken stock recipes available on the web – just experiment until you find one that suits your taste. *Before you begin, you should know that this recipe is more of a guideline, since udon soup can be modified to accommodate a variety of vegetables, meats, shrimp, or tofu. Also, I don’t really measure anything, so it is tricky to determine exact amounts and times. The best thing to do is taste and add until it is right for you. Oh, and yes, udon soup can be made using dashi, but I prefer to use memmi, which is more readily available to most people, and can be found in most major supermarkets beside the soy sauce. Boil water. Add Memmi base and tempura sauce to taste. Add noodles along and cook 1-2 minutes (do not overcook, or noodles will be mushy!). Add veggies and shrimp (or other protein). Remove from heat and serve. See? Super-simple. Don’t be intimidated by making soup. It is really quite easy to do, once you get the hang of it. Naturally, you and your family will enjoy some recipes more than others. For example, one Thanksgiving, I made oyster chowder, which, according to my darling children, tasted exactly like pond water, or perhaps sewage. Nice, huh? Well, when in doubt, bake a loaf or two of homemade bread to accompany the soup. That way, if it doesn’t go over well, no one will starve. My three children love to cook. No wait – scratch that. Two of my three kids love to cook. The oldest would rather play video games and then eat whatever the rest of us cook. But my 8yo son and my 10yo daughter are right at home in the kitchen, concocting edible creations. My son (who happens to be rather science-crazy) prefers to stand at the stove, stirring, mixing, and boiling ingredients together. He has mastered both the toaster oven and the microwave, as well, and is happy to make grilled cheese sandwiches or quesadillas for the family meal. It really isn’t too difficult to help kids to get started with cooking. It does involve stepping back and relinquishing control. Mistakes happen. Messes happen. Eggs break. Sometimes the food creations don’t turn out as beautifully as they would if a more experienced adult had made them. But kitchen oopsies are not the end of the world. In fact, if not for a few kitchen mistakes, then perhaps we would not have potato chips or chocolate chip cookies. Let kids choose the type of food to cook or bake, and then guide them toward the simplest recipes. Remind them that they can graduate to more challenging recipes after they master the basics. Kid-sized tools in fun shapes and colors not only add to the joy of cooking, but also make the clean-up part a little more fun. Well, in theory anyway. Encourage kids to help in the planning. Plan a scavenger hunt to teach them where to find essential tools and staple ingredients in your kitchen. Take them to the supermarket and let them help shop for ingredients or boxed mixes. (Don’t be afraid of letting kids start with boxed mixes). Teach kids how to handle emergencies in the kitchen. Keep baking soda handy in case of electric stove fires. Teach basic first aid skills in case of burns or cuts. This basic knowledge will prepare kids to face the potential dangers of food preparation, and help both kids and parents to feel more secure. Finally, relax and enjoy the experience. Turn on music in the kitchen. Sing as you wash dishes side by side. Laugh if the batter flies out of the bowl or the cookies burn to a crisp, then clean it up and try again. Keep the stress out of the kitchen, and turn cooking into an fun adventure.